No. 1666: Other Western countries cheer in Pastors who have not done a fraction as badly as narrator postman Jan Aage Torp, when does the time come for him? Other Western countries cheer in Pastors who have not done a fraction as badly as narrator postman Jan Aage Torp, when does the time come for him? Jan Aage Torp's daughter Christine Josephine Andreassen,:The words still run in my mind sometime. I was barely 11 years old when I was sent to the father house summer camp in Denmark. Big Brother was tortured, and I was taught to hide, sacrifice life for the cause and rescue those who were kidnapped. The summer camp would prepare us for the end time and to fight the fight for Jesus. The leaders were convinced that the end time was close. Therefore, we had to be trained to become soldiers. I was in the group for the youngest. In the middle of the night we were alarmed with shouting that one of the participants had been kidnapped. We did not even get a flashlight because we were sent out alone in the woods to look for the participant who had been kidnapped.Furthermore, we learned how to hide us from not being seen by those who came to "take us Christians". At the camp I was taught to an understanding of reality that said the world would hurt us.One day we were raised on a line. The authoritarian leaders told us in strong words that if we were ever kidnapped, we should die for the matter. We were to die for Jesus. "I'm a soldier of God, kill me if you want." We should say. We practiced it together. The leaders asked us one by one and we had to respond with tight tidying up. I was ready. As eleven, I was ready to die for the matter.A little later, Dad came happy home from Zambia. He was gira and engaged; Demonstration was on the plan for Oslo Church. Mom tried to make me stay at home, said I could not miss school, but we all knew that two weeks school did not mean so much for a school-grade 7. Class.The journey was long and suddenly I was sitting alone in a room with a floor and an African lady. She asked me to breathe in newsprint rolled up like a kremmer house. I heard scream and pity everywhere, but did as I was told. I breathed and cried. I was afraid. I am trembling. When we finished, she crossed a list of different demons I had in me, jealousy was one of them. She said I had to come back for several demon expulsions. (quote ending).Following what Jan Aage Torp's children have said, something that Jan Aage Torp or his former wife Ann-Christin Düring Woll (former Torp) have addressed.Then the children were driven out demons countless times. Blue. 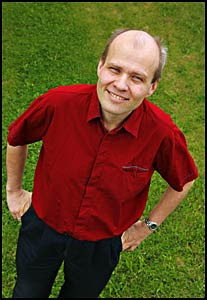 up to seven times a day after what Anders Torp writes.Now, people who have been driven as Ann-Christin Düring Woll (former Torp) and Jan Aage Torp (pictured) are punished and imprisoned.Picture of Jan Aage Torp and he then and right after the word of God, Ann-Christin Düring Woll. As the membership and cash flow increased, Oslokirken rented a room in Dronningensgate in Oslo city center and established the "Oslo Healing Center". This was a place people could seek to be cleansed of evil powers and seek healing for "bodily, spiritual and spiritual diseases" as it was called. In reality, they were driving exorcism, says Anders Torp. He participated in it all.- Earlier we had been in Zambia and learned a special technique for demon destruction. A pair of Zambian pastors had joined Norway and worked at the healing center, says Anders Torp.The method consists of some special breathing exercises, which really are nothing but hyperventilation. "Those who came in quickly heard that they were obsessed with demons, and they were persuaded to try the special breathing technique. And what's happening if you hyperventilate for 10-30 minutes? Well, you get dizzy, get hurt in your head, get cramps and even lose consciousness. These natural physical reactions, which are caused by hyperventilation, are being told are signs of demons coming out of the body. A person who gets physical reactions will think that he or she is really obsessed. Thus, you have complete control of the person who, in most cases, will do everything to get rid of the obsession. With this technique, anyone can be convinced that they are actually obsessed with evil powers. The whole process is a power assault, says Anders. He says that he himself has been through the process 17 times. - I do not remember much of this. I was completely unprepared for how the body reacts to hyperventilation. Many people got completely blackout, became rave and could figure out things like "I'm Satan." Most of this also happened to me, he says. The physical reactions initiated by hyperventilation became proof of actually obsessing and the demons were on their way out. When you actually believe in this, it affects yes, also the physical reaction. Let's say that a person has been told and trained to believe that the person is a dog. Then this person will behave like a dog. If you are manipulated to believe that you are obsessed with a demon, you will behave as if you were obsessed with a demon. That's how simple it is, he says. Train training before "the last few times" Another thing Anders Torp went through during his time at Oslo Castle was the camp "Joel's Army Bootcamp" in Denmark. He tells of a militant training camp where the participants should be trained to fight in the last war that is to come before the "resurrection" - a performance evangelical Christians claim that the believers will be brought up and brought to God while the infidelity will remain and experience the hustle and bustle before the day of judgment. The church of the Father House in Denmark, with which Oslokirken cooperated a lot, had brought two tugs from the Danish defense. We followed military discipline, used code names and taught us to spy. Worse, we were trained to withstand torture. We were standing untouched for four to five hours. Many fainted. We were abducted by the leader in the congregation and subjected to brutal interrogation techniques. I got sand in my throat, experienced water fog and was beaten and kicked. Much of this occurred while we had hooded over our heads. Those who panicked and broken were exposed to extra hard treatment so that they would be cured, he says. Others were 17 when this happened in 2005. The youngest participants were only 12-13 years old, volunteered by their parents, telling He emphasizes that it could certainly work for the environment as if he went into much of this volunteer, and even benevolent. There are, however, several forms of compulsion, he believes. "Once you have been indoctrinated into a special and narrow way of thinking, you can not think freely. Suffering does not always have to be physical and direct, something Levi Fragell's recently released self-biography is a good example of. It is this long-lasting and psychological compulsion that I have finally managed to free myself from, "he said. (End of speech). Final comment: There are examples from Sweden and Denmark that so-called pastors have been sentenced to do the same to their own children like former married couple Ann-Christin Düring Woll (former Torp) and Jan Aage Torp have received their children. See here for links: https: //www.abcnyheter.no/nyheter/verden/2018/04/26/195391181/ A prisoner of death in Gothenburg is sentenced to one year in prison for attempting to drive demons out of the teenage daughter. According to Göteborgs Posten, the daughter was a member of the free church. She has said that she was subjected to violence, threats and violations of the father. According to the district court, this has been the case for over four years. It was a counselor at a youth reception who reported about the situation in 2017. The father is also sentenced to pay her daughter 35,000 Rewarded priests anchor judgment on 3 and a half years jail The Danish / American Christian Laursen Raburn who was a youth pastor in "The Church of the City in Silkeborg" were among those who made young people fall under the "power of God" in the meetings. However, it turned out that the highly charismatic youth pastor also had another side, a dark side that led the 30-year-old youth pastor to be sentenced to three and a half years in prison and expulsion from Denmark. (Quote end). We know that as married couple Ann-Christin Düring Woll (former Torp) and Jan Aage Torp have been running demons of their children by up to 7 times daily reminding us of what others today are imprisoned for. If it should not and would be good, fair and correct that the same thing had happened here in Norway as it has happened in Denmark and Sweden! We will hope, believe and pray for justice also prevail in Norway, not only in Denmark and Sweden! Here are some related links, which show that fool's postman Jan Aage Torp had lived in Sweden or Denmark, he probably would not have been a free man. But sitting in the same place as other sites in order to inflict on his children trauma and anything that makes him a criminal, a scam and a whore after the word of God! No. 1665: Liv Signe Navarsete appears as a drama queen after Jan Aage Torp has performed and hosts the drama King himself! No. 1665:Liv Signe Navarsete appears as a drama queen after Jan Aage Torp has performed and hosts the drama King himself! The goal is obvious. Get shut the blog and get me into a closed intuition!Torodd Fuglesteg writes, who is one of Torp's admirers.You and your wife will be stalked by JKC for the next 30-40 years if nothing is done in the matter with regard to health care. Especially in these internet times with anonymous profiles and opportunities to hide, stalking will be a big problem beyond. There is not much that trigger mentally ill people and / or people with Asbergers. ABB is at the extreme end of that scale. 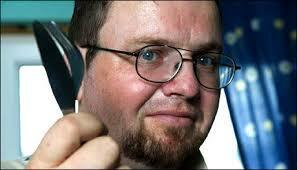 JCK is also something in his directionJan-Aage TorpChristensen conducts "Cyberstalking". He is history! (Quote ending)Here I get the diagnosis of Torp as a stalking and mentally ill of Fuglesteg. Everything I've ever written when neither torp or bird climbs up to the ankles once!Further by Torodd Bird Stage.Krogstien in Oslo has now become a madhouse. Something more can not be said. (quote ending).Torp's "friends" take the job for the "boss" himself. They have the same spirit and therefore the same evil people!Further Torodd Bird Stage:I think it's totally unrealistic to believe that JKC will give up its almost daily terror of Torp in the next 30 years unless it is taken into custody through forced treatment in a closed mental institution. I do not think that today's process will do anything but reveal it from the public that Torp and others are being terrorized by JKC. And that's all. That in itself is good. But not the solution. (quote ending).Here they mean I will be locked in on a closed intuition. This tells me that bullying and the guilty of me can not really get worse! Except if they are actively starting to use this!I have never known neither drawn, wanted or need to meet Torp in any way. 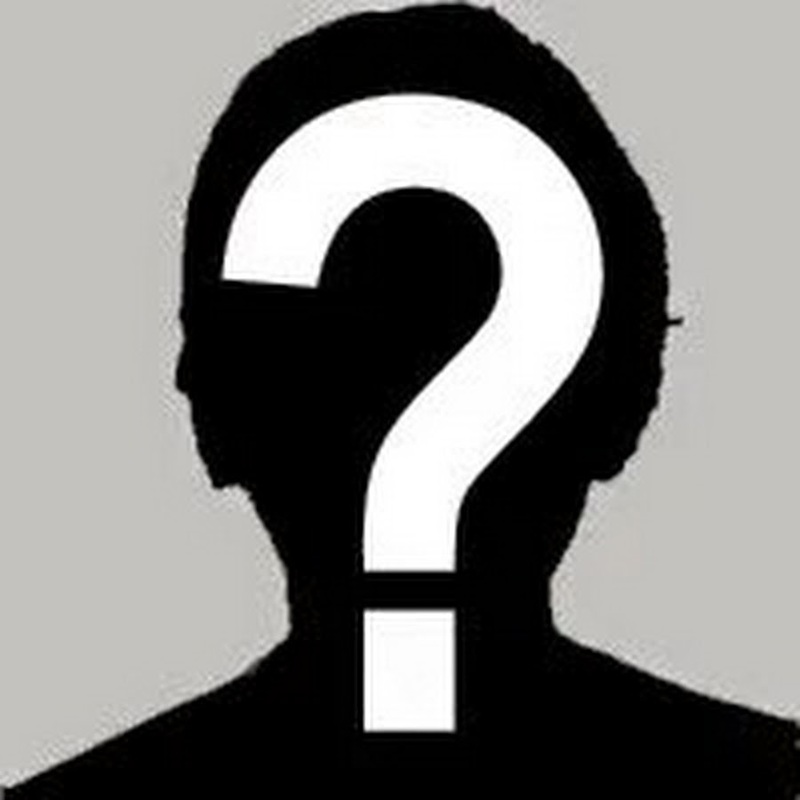 I have written about him as an X where he must be "Apostle" and "Pastor." And others I write about, I have the same relationship to mostly. It is that they call themselves preachers, etc. but live for their own flesh.At the same time, God's word, and God's word alone, gave rise to what I meant and mean about the Torp and the Oslo church.For my part, I am primarily concerned with the things I write and talk about from the Bible's view of remorse and being a preacher and having a supervisory office.Picture of Norway's most naughty and worst net role, Torodd Birdwatch, who is in the UK and causes nausea in Norway, but he has to hold on when the police have given him protection and obviously do not want to have him taken and taken.Even though he is dealing with threats, document falsification and anything else it's possible to do with. Liv Signe Navarsete and Jan Aage Torp appear to me with some striking negative and unsympathetic features that make them both in my eyes as drama king and drama queen.In both cases, both have been hurt and harassed others, but when they themselves experience something of the same self. Then they are so hurt and offended that one is wondering if they have been shot?But they are not, but have received something like everyone else had just suffered and did not break.But what are these two? They try to get the most attention around the matter that pertains to themselves. But when they were hot and harassed others, they would ask for mercy. But to others, they are not so careful to give mercy, but the more demanding than it is possible to comply, they expect both of the others.Liv Signe Navarsete has threatened and harassed more people, she is simply vulgar and most demanding as she appears. Here are some examples.https://www.vg.no/nyheter/innenriks/i/JzjBj/illsint-navarsete-skjelte-ut-egen-ungdomslederIllsint Navarsete shone out his youth leaderThe center duck requires full dishes after a group of newly-announced party members witnessed Sandra Borch being shot out of Sp-leader Liv Signe Navarsete. (Quote end. )From the network about the narrator.Of course there are Norwegian pastors who speak as idiotic as this Swedish pastor, and one of them is Jan-Aage Torp. He has described homosexuality as "a burden of violence in society". (quote ending).Torp shells out everything and everyone, even their own family. But afterwards, when he becomes "violated," he walks to the police to get attention, and unfortunately he gets it.There is no doubt that Liv Signe Navarsete appears as a drama queen after Jan Aage Torp has performed and hosted the drama of the King himself!These two drive things that are obviously not criminal or criminal, and the ability to put others in the stick they should and should be in. This is alarming.I do not know Narvasete, but I know who the narrator is. The similarity between these two is striking in the sense that they both seek attention, disables SEG. But when they themselves encounter resistance, they become bad for fashion. It is said that the player in the game must be able to withstand the stitch. These two are people who list others to a point where they expect others to be "punctual"!While they can leak out and write exactly What suits others, this is the classic hypocrisy! Final comment: Never believe that Life Signe Navarsete review will lead. If it does, it's a tragedy. What she received from text messaging is nothing like what, for example. I have received the last 5 years of the evil trinity. At Torp's review the first thing ahead of me and the Heavenly Blog was not because the notification or the sentence was real or punishable. But because I was exposed to the justism of time. What I was convicted of was not even discussed in court, worse than this is not possible to do. This is Norway ala 2018, sad! Revolt is also a human property. It owes this from the Oslo police, Torodd Fuglesteg, Ansgar Braut, Jan Aage Torp and Liv Signe Narvasete. In this way, they manage to go free, but they are able to put others in the "gokkok". It is not least now with Narvasete as a sick man after getting everyone else than herself to get in a bad light. She can only say she is ill-reported and does not have to answer. But other avaries.Torp did the same among other things. in Oslo district court where he poetched numbers and events that none other than himself showed. This was what made me convicted, for me, Torp and some others like well-behaved narcissists and manipulators appear! No. 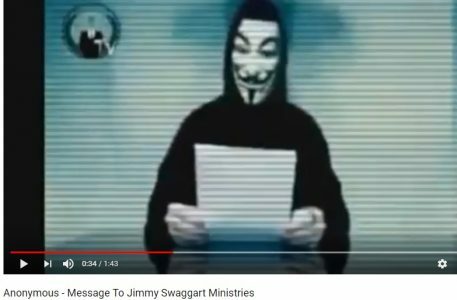 1661: I have been attacked by a false apostle and two cheat mice, now Jimmy Swaggart is attacked by the same demonic forces through the hacking group Anonymous! I have been attacked by a false apostle and two cheat mice, now Jimmy Swaggart is attacked by the same demonic forces through the hacking group Anonymous! As the society is today, the police and the courts let the real bullies and those who run out of the sick leave. They take those who write openly and nicely. But those who write anonymously and deal with real sharks go free! See here and read, this is a problem all over the world, not just in Norway.See and hear what Brother Jimmy Swaggart has been subjected to by the same demonic powers that I and the Heavenly Blog have been exposed to by the evil Trinity, the police and the courts here in Norway. Norway's biggest and probably worst online roster Torodd Fuglesteg, who has obviously received immunity from the police for after all what he has written in recent years. And have not been held responsible for this is worse than what is happening now with Jimmy Swaggart. Here is the last mail in from this criminal man who also threatens to drag my two daughters into his abrasive correspondence. He has done this before, and my wife and Ansgar Braut have sent messages. These two people are and Torp is obviously criminal but is overprotected by the police, then there is little to do. "I see that you are too mentally retarded to answer even my most simple questions. See that you violate Norwegian law in your mentally retarded state as your ethical and moral values ​​affect the animal world. I will therefore only refer to courts and your two daughters that I will contact when these are adults and by their full five cf. common friends and others who know them.I have their contact details and will contact them if I have any spam to you.Because it's totally useless to try to initiate a dialogue with you in your mentally retarded state.You can not keep dialogues with people. Have a good life and I hope you now for a proper treatment and care of professionals. " Screenshot from the newspaper VG da Torodd Fuglesteg wondered the entire editorial staff who rolled around and came to the front and thus became known throughout Norway. Afterwards, he has also become a "rich celebrity" by writing on the fake Smyrna blog about, among other things, That flock is God's punishment over Norway because of immorality and homosexuality I think to remember. The man drives a lot of days to squeeze me for money on my mail as I can not comment because the police allow him to do absolutely everything he wants, hurts and wishes! 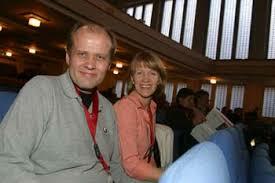 Picture of Norway's largest and worst online roulette Ansgar Braut. Article about the same as I've been exposed to as Jimmy Swaggart. No. 1660: "Apostle" Jan Aage Torp says that he is over the word of God when I belong to a "fictional" church, then it is permissible to report Christian brothers even though God's word strongly warns to do this, it is better to suffer a loss ! No. 1660:"Apostle" Jan Aage Torp says that he is over the word of God when I belong to a "fictional" church, then it is permissible to report Christian brothers even though God's word strongly warns to do this, it is better to suffer a loss ! «Apostle» Jan Aage Torp (the picture) writes the following on his own blog:However, we had to reconsider Paul's warning of "litigation between brothers". Here we came to the recognition that Paul referred to situations where Christians were actually in the same congregation, and with some groves common leadership. In the case of Jan Kåre Christensen, this is not valid because he is "pastor" of a fictional church, "Smyrna", which neither has members nor ecclesiastical affiliation or public registration with the County Governor or the Brønnøysund Register. "Smyrna" is simply a name Christensen has given her house in Oslo, as well as her public blogs. Therefore, we had to use the "Authority" as the New Testament establishes as a normative and punitive instance. (quote ending). The apostle Paul describes us as Christians who are members of the common body, where we all stand in a sense of responsibility to each other. And have no right, right or reason, to treat each other something different than what God's Word says and does.Room. 12. 4 For as we have many members of one body, but not all the members have the same work, 5 so we are many one body in Christ, but individually we are each other's limbs.In this match he has also received Norway's 2 biggest and worst online roles with Ansgar Braut and Torodd Fuglesteg (pictured) to try to close the heavenly blog. 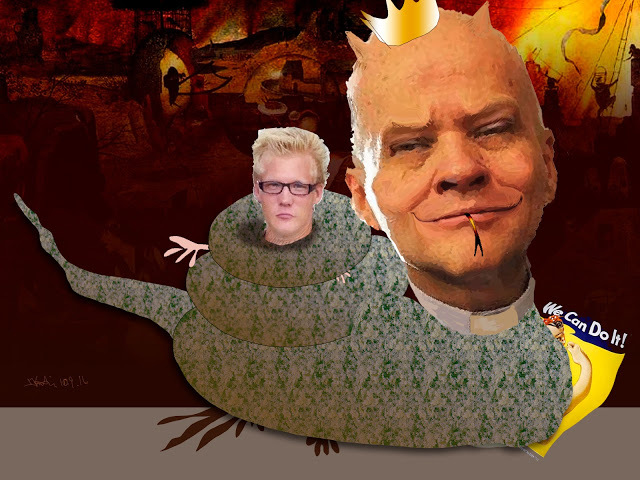 Here, "Apostle" Jan Aage Torp has joined forces with the authority, Norway's 2 worst online roles and anyone else who can close the heavenly blog!Then, the word of God is no longer valid in the life of Torp when he divorces and marries, a police detective, ally with people who obviously belong and serve the evil one. Everything in the world of Torp is true to me and the heavenly blog, "the goal sanctify the means!" Best support I have received is actually not by any believer, but by humanist journalist Even Gran, who has understood in this case, it is "owls in the bog". Since the only agenda of the police and courts is and has been taken. Unfortunately, there is something we as Christians must expect, that the world's people will make us believe in that way, unfortunately, many people feel an inner or what they experience. One point is that it is as the apostle Paul says that believers are often placed "at the bottom"! Therefore, the word of God is clear to it, too, do not report other believers. 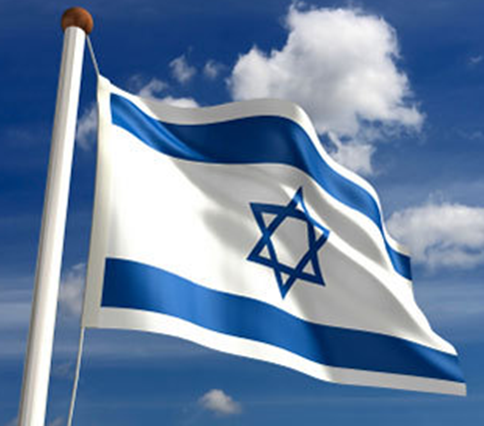 Lets rather injustice, suffer either loss, "bite in the sour apple, the judgment belongs to the Lord, and the church will and can we bring everything inward. And if we do not, we can not report anyone just because they do not have a big community around them. We see, too, is very bad at Torp, he tries and will attack those he believes he can win "victory" over. That's why Torp wrote on one occasion that he was "wishing opposition", not Satan, his own flesh or anything else! Final Comment:Torp believes that it is allowed to report me when we are not so many, but that I belong to the body of Christ and is a believer. That's what matters to God's word if one is a Christian or not, no matter how big or small church one belongs to!We read in 1 Cor. 6. 7 It is already a loss for you that you have things against each other. Why do not you suffer injustice? why do you not harm either?It's a loss that we have things against each other, let injustice say the scripture! In other words, the scripture is ready here. We shall not object to one another as believers, but leave the judgment to the church and God.It is this which is God's regulation that Torp puts itself over this is bad!Biblical and spiritual is not to report other believers.The world's people are always ready to chop after and "take" us Christians! That we must live with, but that other believers go to Satan's errand as "apostle" Jan Aage Torp does, it's bad. The scripture says that he is a "thief and a robber" who "jumps" over a place other than what the scriptures say and teach!Then he has both lost his salvation and is under sentence with their lives, since the verdict does not belong to Jan Kåre Christensen, Jan Aage Torp or any other people. Only God alone!